NEW ORLEANS -- A majority of people in Louisiana oppose taking down Confederate monuments, a Louisiana State University poll has found. Results varied by political party, CBS affiliate WWL reported. Ninety-two percent of Republicans oppose removing Confederate monuments compared with 54 percent of Democrats. n Southwest Louisiana, a majority said they oppose removing Confederate statues. 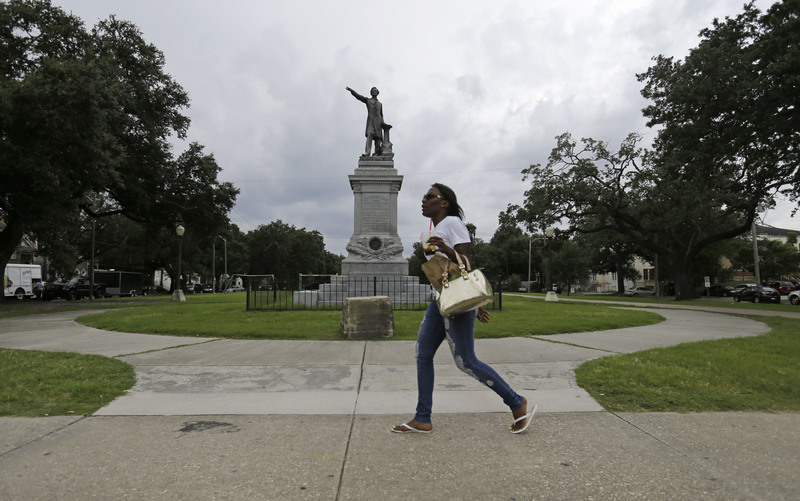 In every region of the state except New Orleans, more than 72 percent of respondents said Confederate monuments should not be removed, WWL reported. The monuments slated for removal include a 60-foot-tall marble column and statue dedicated to Lee in "Lee Circle," and a large equestrian statue of P.G.T. Beauregard, a Louisiana-born Confederate general at City Park. Also up for removal are a statue of Confederate President Jefferson Davis and an obelisk dedicated to a group of white supremacists who sought to topple a biracial Reconstruction government in New Orleans.